Save time with the only mobile app that works in all states for EPPICARD®! SUPPORT: OUR SUPPORT PHONE NUMBER IS 631.610.9635 OR EPPICARD@RFINDER.NET PLEASE CONTACT US BEFORE PUTTING IN 1* REVIEWS!!! IT'S ONLY FAIR, RIGHT? WE SUPPORT OUR APPS! IF YOU ARE HAVING TROUBLE FOLLOW THESE INSTRUCTIONS: Try this...this fixes 98% of all problems...its usually the credential issue... Is the app showing a state list or asking for a pin? If showing PIN, click menu-reset. go to www.eppicard.com...choose your state and card if applicable... Log in. If you need to, click on Forgot User ID to get your ID back...have your card handy. Create an ID if you need to. Test your login on the site. Then reset your password if necessary. Then put that login and password into the app! Choose any PIN you wish...its for the app ONLY. 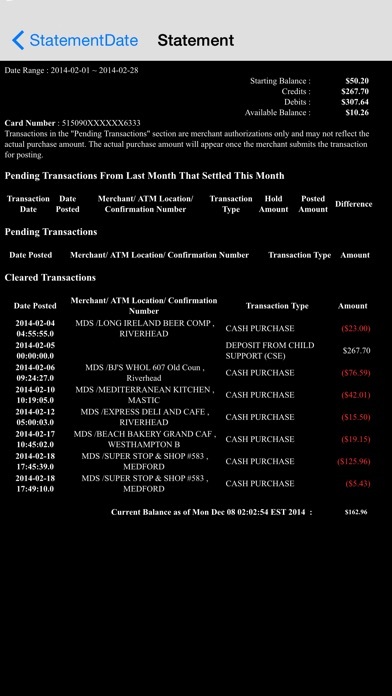 SEE DISCLOSURE BELOW Many states use EPPICARD®* debit cards for distributing child support payments to custodial parents as well as many other kinds of payments. 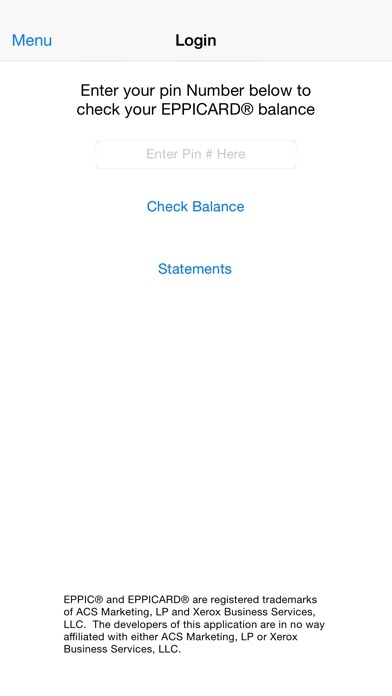 Getting your debit card balance from a smartphone via browser has been very difficult... until now! 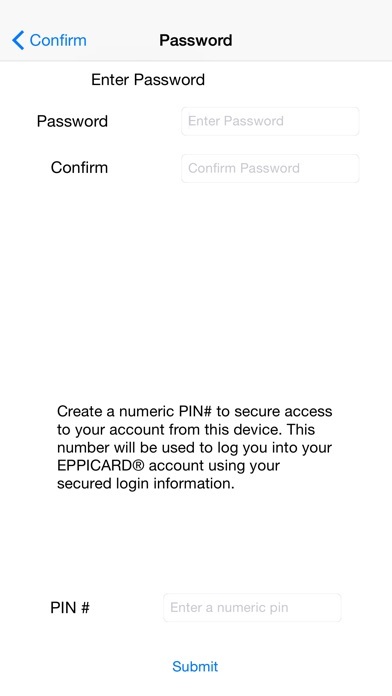 Balance Checker for EPPICARD® debit cards lets you log in and view your balance quickly with just a PIN# you set up. Now gives users access to statements too! I am a single parent. 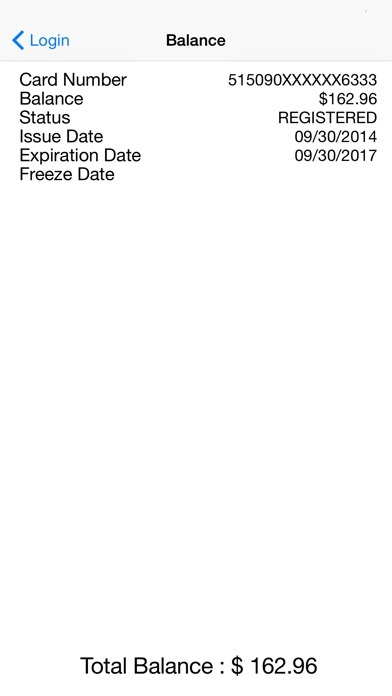 I collect child support on an EPPICARD® and after years of not being able to get my balance without paying 50 cents every time or spending 5 minutes trying to go to the www.eppicard.com website on my phone, I finally broke down and created this App. I liked it so much I wrote it for iPhones too and shared it with you. 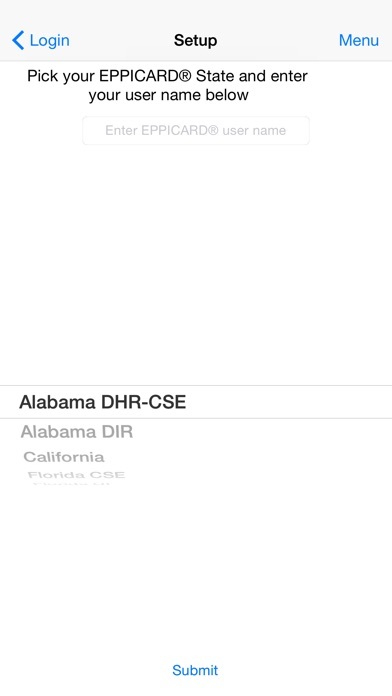 We currently support the following EPPICARD® debit card programs: Alabama DHR-CSE, Alabama DIR, California, Florida, Georgia, Illinois, Indiana, Iowa, Massachusetts, Mississippi, Nevada, North Carolina, New Hampshire, New Jersey, New Mexico CSE, New Mexico UI, New Mexico CYFD, New York, Ohio Child Support, Ohio Cash Benefits, Oklahoma UI, Oklahoma, Pennsylvania L&I, Pennsylvania, South Carolina, Texas, Utah, Virginia and Wisconsin. © ITWeRKS 2012 * Note: EPPIC® and EPPICARD® are registered trademarks of ACS Marketing, LP and Xerox Business Services, LLC. The developers of this application are in no way affiliated with either ACS Marketing, LP or Xerox Business Services, LLC. Notice: This is not an EPPICARD® authorized app; however, we are currently negotiating with ACS Marketing, LP and Xerox Business Services, LLC to make this an EPPICARD® authorized app. By purchasing this app you accept full responsibility for its use. This app uses standard SSL secure encryption for all information sent over the internet. No information is ever stored outside of your mobile device; we do not log, collect, distribute, or use any personal information. The publishers are not responsible for any actions by EPPICARD® or its management to discontinue your access to your information through this app. I had this app for over a year worked fine! Now it doesn’t work at all and I know I’m putting in the right information! This was an app I used daily and didn’t mind paying for the app! You need to fix this problem ASAP or refund the people who have purchased this crap! It used to work perfectly and now it’s telling me my pin is incorrect. Please fix this. I’ve had the app for years and it worked great. Now it says I’m entering the wrong pin. The update messed it up. Please fix it!! My review will go from 1 Star to 5 if I can just get into it again. Stopped working. Tried contacting administrator 4 times. No response. Don’t buy. It’s a sham. Worked great and then all of a sudden stopped. Wants verification. All my info is correct but can’t get in anymore. Loved this over the website. Sad it’s not working. Can’t give 0 stars... Cannot get logged on. You email support.... yeah that’s a JOKE. Don’t waste your time on this app!!! They won’t respond!